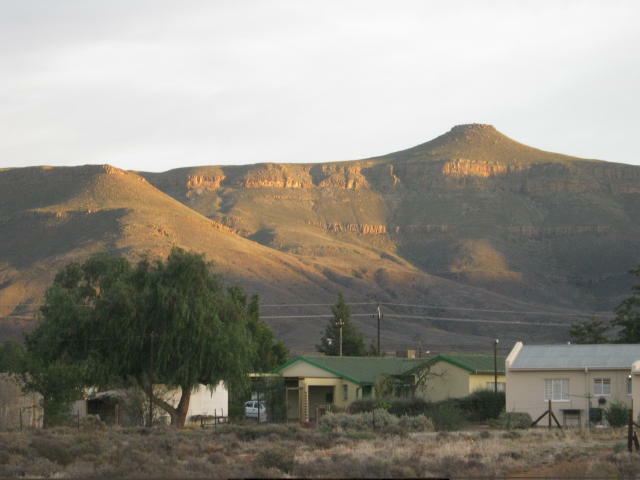 Calvinia is a town with it’s own beauty… For someone, like me, who lived in the hustle and bustle of the big Cities, this little town is surely unique! 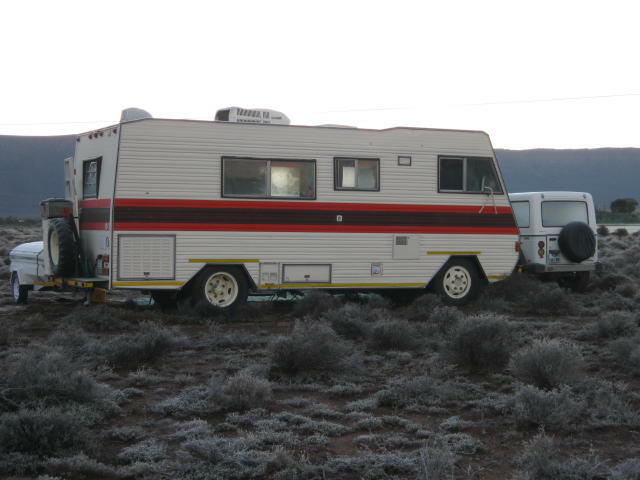 When ever I think about Calvinia, I remember the flames of our campfire, dancing on the beat of the music, that was playing in our motor home…..that BIG cup of hot chocolate during a light snowfall….For a moment or more I enjoyed the warm memories of yesterday…In Calvinia, I felt peaceful and calm. 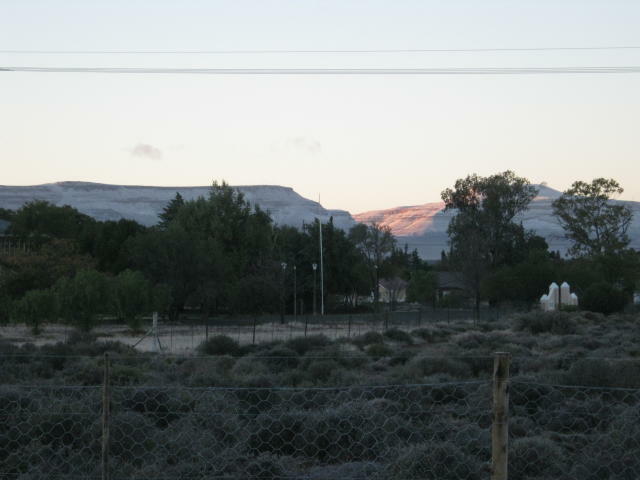 The Hantam Mountains to the North….. The town lies nestled in between the mountains. The Hantam to the north, the Roggeberg to the east and Rubini to the South. The Summers are Hot and Dry and the Winters are Cold with light Snow…. 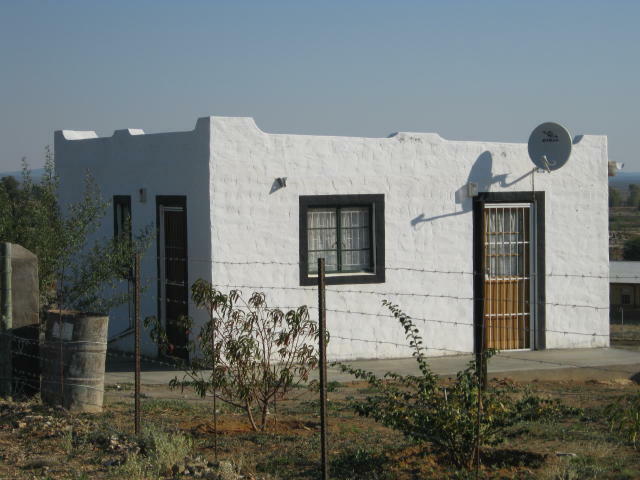 In the morning we woke up to the birds chirping and inhaled the fresh air…all part of country living. …after heavy rains, everything turns into mud! This truck is STUCK!!! With some local assistance, it was towed to ground with better traction and was soon on it’s way…. 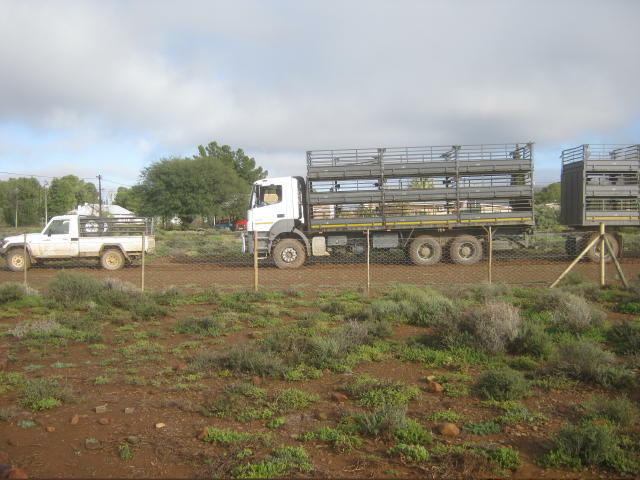 To us, the people of Calvinia have been kind, helpful and (as one would say) like the salt of the earth. They lead a simple and honest life. They are like a big family and everybody knows everybody! 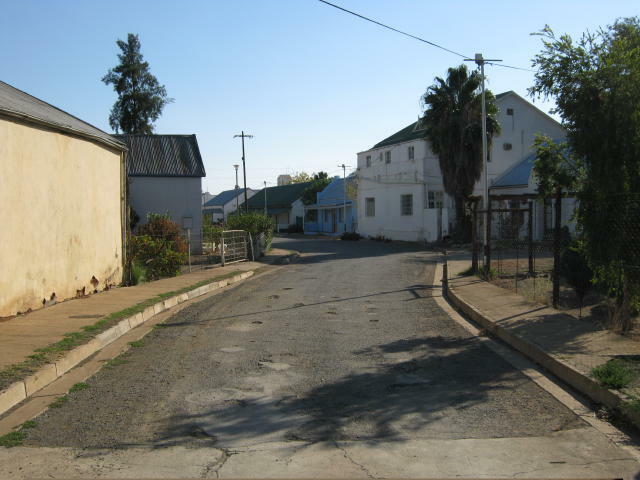 a road of history…Calvinia with it’s historical buildings…. The town is neat and tidy and it is a pleasure to visit the locals. If you are one for a bit of History and Traditional Food, or just a “lekker” piece of Karoo lamb with unbelievable hospitality – CALVINIA is the place to visit! 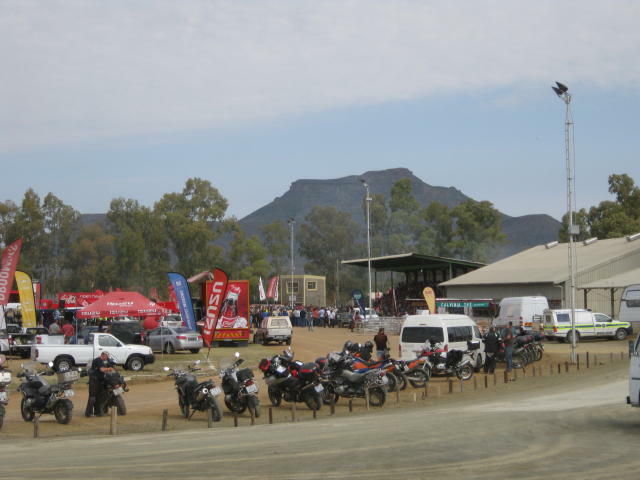 we will visit soon again…. Die inwoners van Calvinia praat maar meestal Afrikaans en daar word soms gesukkel met die ” Ingels”…maar die vriendelikheid is oorheersend en is verstaanbaar in enige taal….Terwyl ons in die dorp vertoef het, het ons gevind dat daar nog vertroue in die medemens is en dat hulp aangebied word sonder om vergoeding te verwag. Dit was lekker om vriende te maak en met ‘n warm koppie boeretroos lekker te gesels – of was dit soms so ‘n bietjie “skinner”…maak dit regtig saak?? 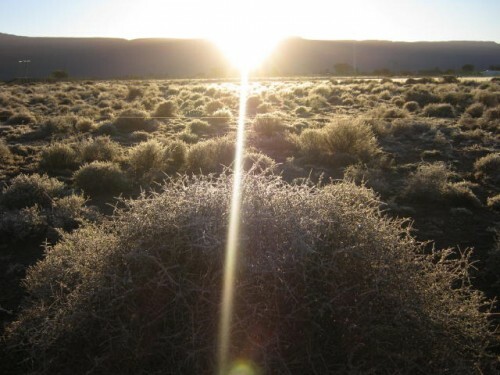 ‘n Perfekte karoo huisie …die een het defnitief my hart gesteel! Ons , as reisigers, wil kennis maak, lag en gesels en dan weer later, met verlange terug dink aan ons besoek aan al die interesante dorpe met hul liefdevolle mense….By Calvinia, soos by baie ander klein dorpies, staan die tyd stil….en more kom eers oormore….so kuier nog ‘n dag! This entry was posted in NORTHERN CAPE and tagged Attractions, CALVINIA, Flowers, History, NORTHERN CAPE, outdoors, Travel by ANNIE. Bookmark the permalink.